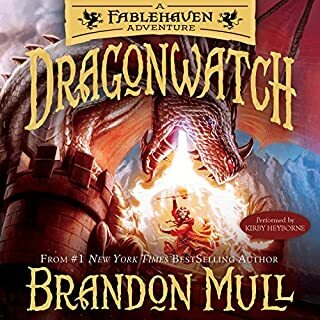 Fans of Fablehaven and Harry Potter will love this modern spin on fantasy with the "hilariously epic journey" (Readers' Favorite) of a boy stuck in a magical land who can still post about his adventures on social media and YouTube! Thirteen-year-old Sam Shelton is the only person in Avalon who can't use the magical power of aether. He's also the only person in Avalon with a bag of high-tech spy gear, a solar-powered cell phone with intermittent signal back to Earth, a YouTube account, and a murderous wizard-emperor on his tail...so he's got a lot going for him. When an earthquake hits his hometown of Bozeman, Montana, Sam gets inexplicably transported to Avalon, a strange world in which aether defines all aspects of life: the rich, the poor, the weak, the powerful, the oppressed, and the oppressors. Sam soon discovers that not only is he immune to aether's magical effects but that he possesses the rare ability to destroy the stuff on contact. This phenomenon poses something of a major concern for the Emperor of Avalon, a tyrant who has dedicated his life to amassing more aether than all his subjects combined. While trying to find a way back home, Sam learns that his best hope lies with meeting the emperor head on, and draining the tyrant of his power. To do that, Sam will need to band together with a medieval cowboy, a young aether prodigy, and a curious dryad, all while using his whole bag of technological tricks...and posting about it on social media, of course. 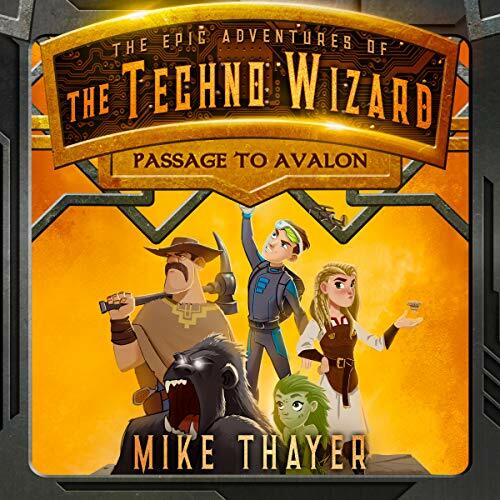 In Passage to Avalon, Mike Thayer takes a humorous, action-packed, and modern spin on the portal fantasy genre in the first book of The Epic Adventures of the Techno Wizard, a series that combines magical fantasy with near future technology and social media. kept me wanting more. Loved it! Old and Young will love this book. The characters are wonderful and unique. pulls you in fast. you will not be disappointed. What a concept. There has got to be several writers kicking themselves for not having thought of this. It felt a bit young for me at first but it really came together as time went on and I couldn't wait to listen. The performance was similar. In the end I said "that was a great performance!" I finished Passage to Avalon last night, by Mike Thayer who is a writing excuses alumni/friend of mine and was really impressed. Middle grade portal fantasy was something I did consume at a young age and this story is a modern update on classic/older stories like Narnia (think Aslan on Instagram). The cast of characters are likable and have distinct voices and abilities, and the overall world building is clever and fun. I had a few issues with the plotting around the half way point, but these were addressed by the epilogue, and there is actually some really awesome plotting leading up to the climatic final battle that was quite excellent (I think I actually smiled once I realized how the drone would utilized). I did feel that there was too much similarity in the traumatic back stories of the story's main characters, but that's a pretty minor gripe in the scheme of things. 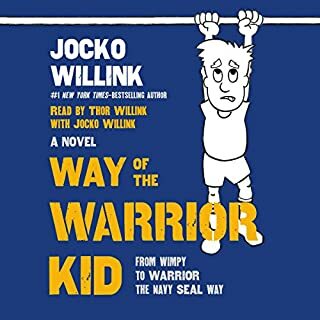 I'm not an expert in middle grade, but I found it considerably more memorable and enjoyable than things I've read by bigger names such as Brandon Mull and latter day Rick Riordan. Highly recommended. 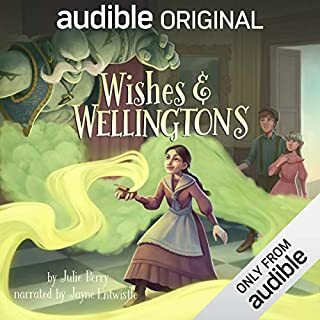 They have read it now listed on audible. 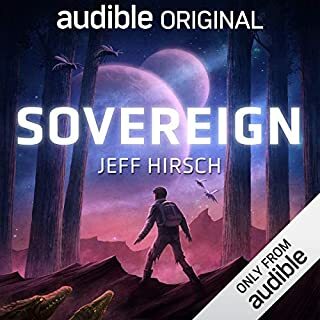 Great book and voices on audible were entertaining. 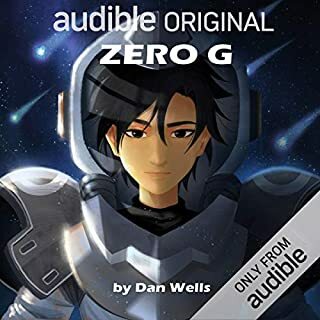 Audiobook is even better than the print copy. 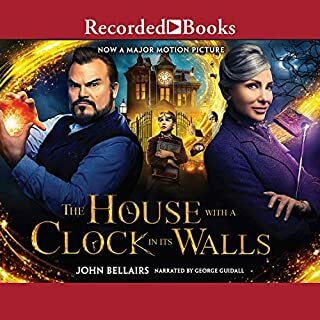 The author does all the voices for his characters and does a great job. Now my kids prefer listening to the audiobook to my reading the printed copy. Amazing! The story grabs your attention but what Mike does with the narration makes it even more captivating. So excited for the next book.